If you think that you've got what it takes to become a professional player but struggled to come up with the bankroll to put it to the test then Badbeat.com could be just the thing. The leading staking site is looking for winning cash and tournament players to add to its pro ranks in a spring recruitment drive. There are two routes to a staking deal. Winning cash game players at $0.25/$0.50 and above and winning tournament players at $20 and above (and who can prove it via Sharkscope, Hold Em Manager and the like) can apply using the Route One form at Badbeat.com. Players taking part in cash games at limits lower than $0.25/$0.50 can also get in on the action by downloading PokerTime and creating an account; downloading the innovative MyPokerLab software and registering using PokerTime.eu account details. Deposit to the PokerTime account and play at least 5,000 real money cash hands then submit an application using the Route Two form at Badbeat.com. So how does sponsorship work? 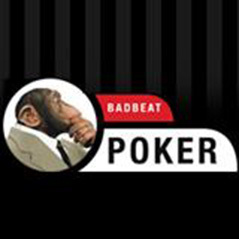 Badbeat.com provides its sponsored poker players with a fixed amount of money per day to eliminate their personal risk at the tables, freeing them up to play their ‘A-game’. Poker staking often comes to the aid of those with limited financial funding who are struggling to progress because their play is dictated by the size of their bankroll (risk), but would have the potential to move up the levels once freed up. Potential players can change their life and give the big time a shot by applying for the Badbeat.com staking system where world class poker mentors will guide them to their own pro poker career.